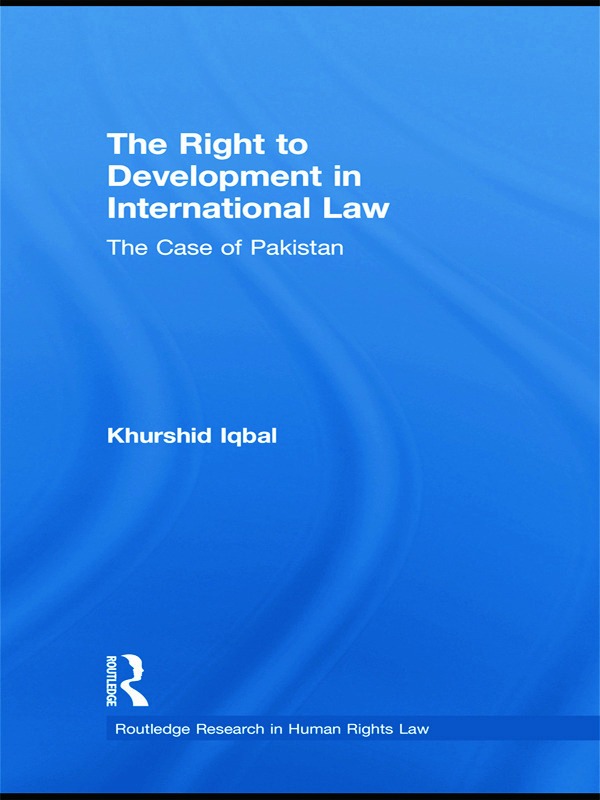 The Right to Development in International Law rigorously explores the right to development (RTD) from the perspectives of international law as well as the constitutionally guaranteed fundamental rights and the Islamic concept of social justice in Pakistan. The volume draws on a wide range of relevant sources to analyse the legal status of international cooperation in contemporary international law, before exploring the domestic application of the right to development looking at the example of Pakistan, a country that is undergoing radical transformation in terms of its internal governance structures and the challenges it faces for enforcing the rule of law. Of particular importance is the examination of the RTD and Shari‘ah law in Pakistan which adds a new perspective to the RTD debate and enriches the discussion about human rights and Shari‘ah across the world. Through focusing on Pakistan the book links international perspectives and the international human rights framework with the domestic constitutional apparatus for enforcing the RTD within that jurisdiction. In doing so, Khurshid Iqbal argues that the RTD may be promoted through existing constitutional mechanisms if fundamental rights are widely interpreted by the superior courts, effectively implemented by the lower courts and if Shari‘ah law is progressively interpreted in public interest. Iqbal’s work will appeal to researchers, professionals and students in the fields of law, human rights, development, international law, South Asian Studies, Islamic law and international development studies.